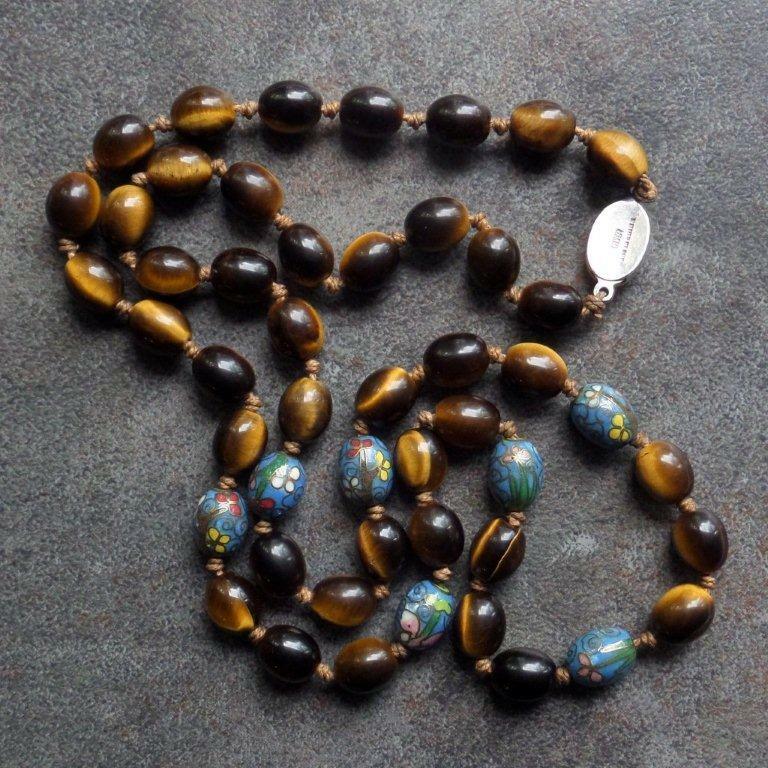 I purchased this necklace because the cloisonné beads seemed to be pre-1970s to me. 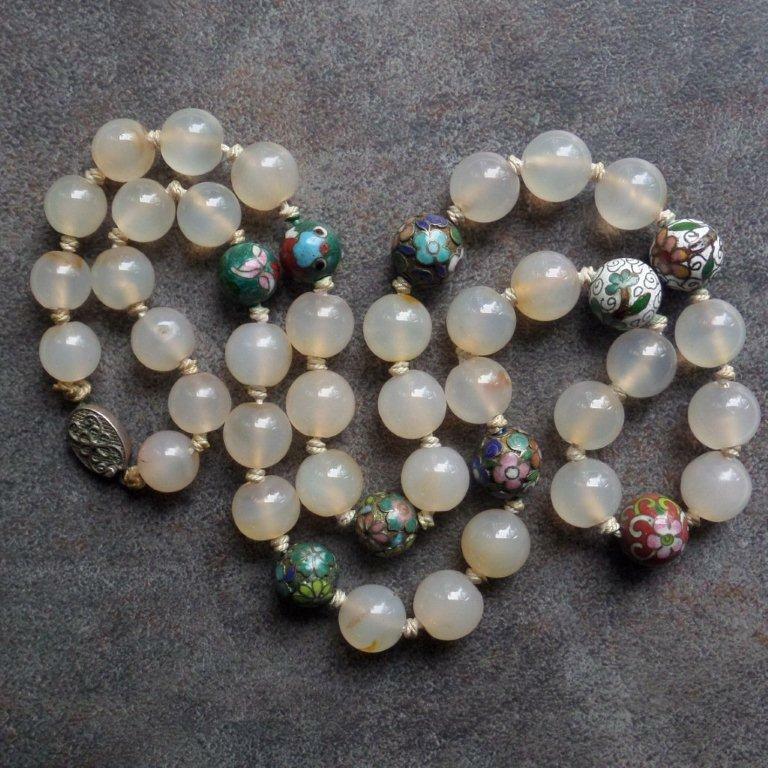 Necklace #2 - on offer at Etsy shop Oldtreasuretrunk. 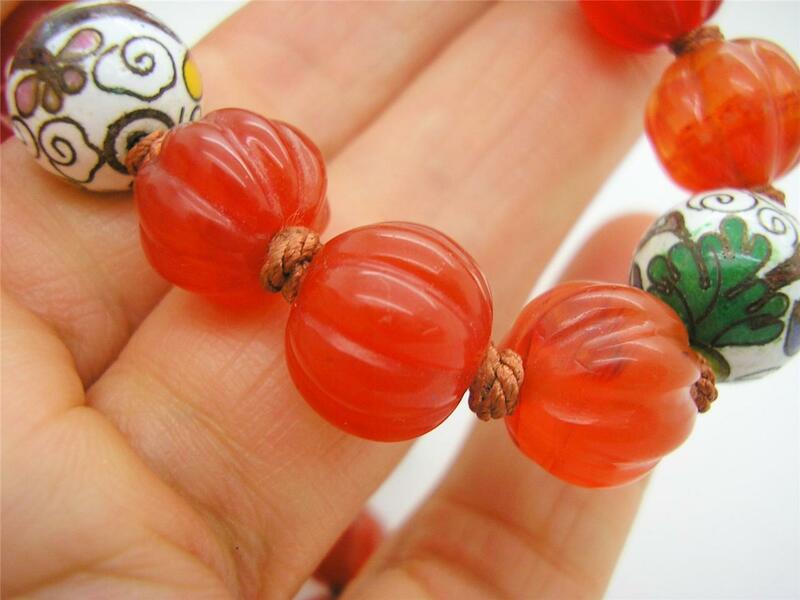 Features several goldfish beads. 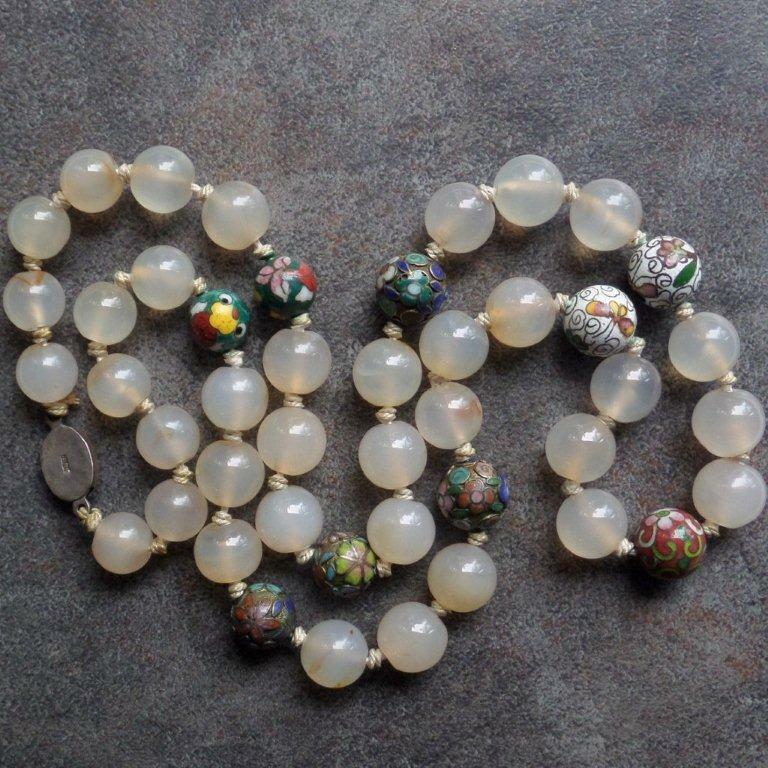 A sly pun on the stone "goldfish agate" beads? 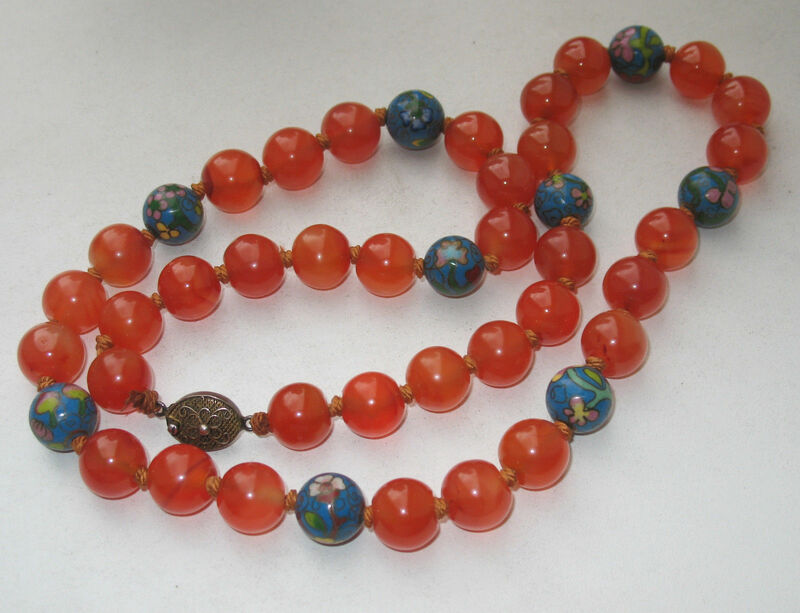 Necklace #3 - note high polish and older enamel colors similar to the goldfish beads. 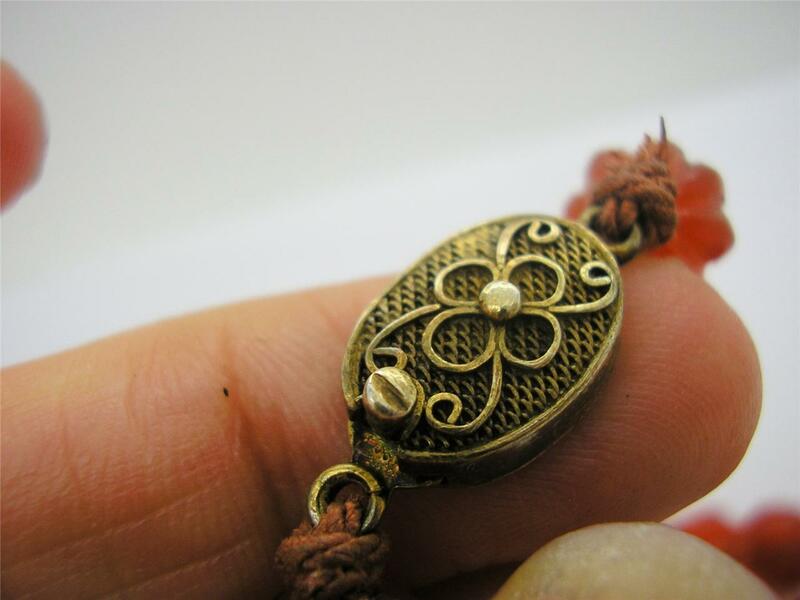 Another gold clasp similar to the previous necklace. 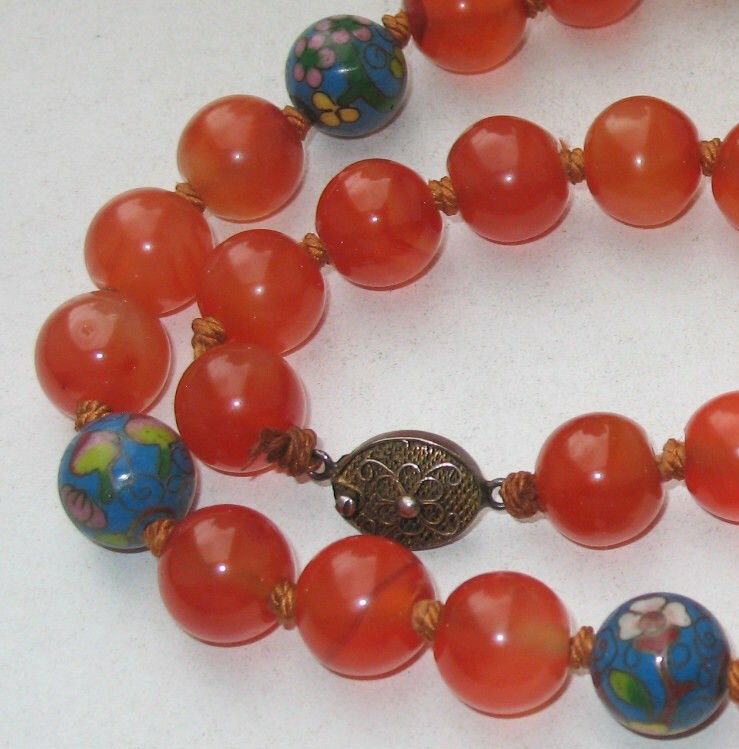 Note the red-crowned crane bead. 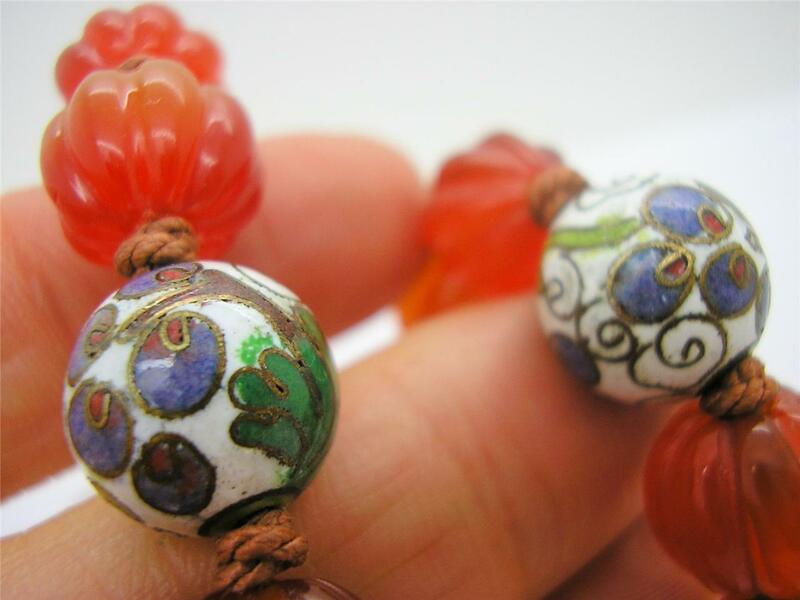 Some in tigereye – note especially the fine detail and small size (11x9mm, or about 3/8” long) of the oval cloisonné beads. 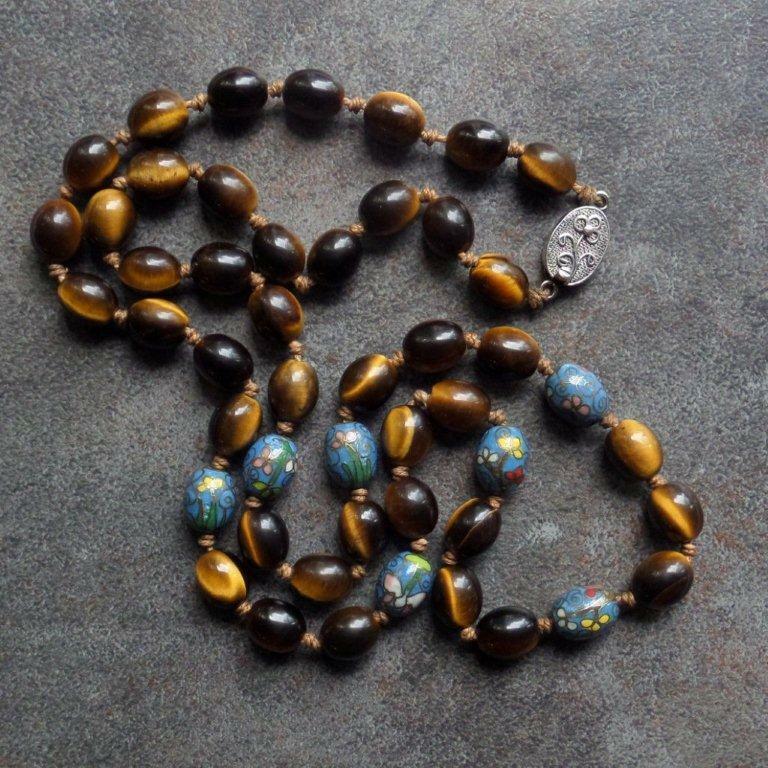 The clasp is stamped "Made in China" and "Silver"
The turquoise-colored beads on the right seem likely to be from the 1960s (see similar necklace in my post about The JingFa Cloud and note the circumstances of its purchase). 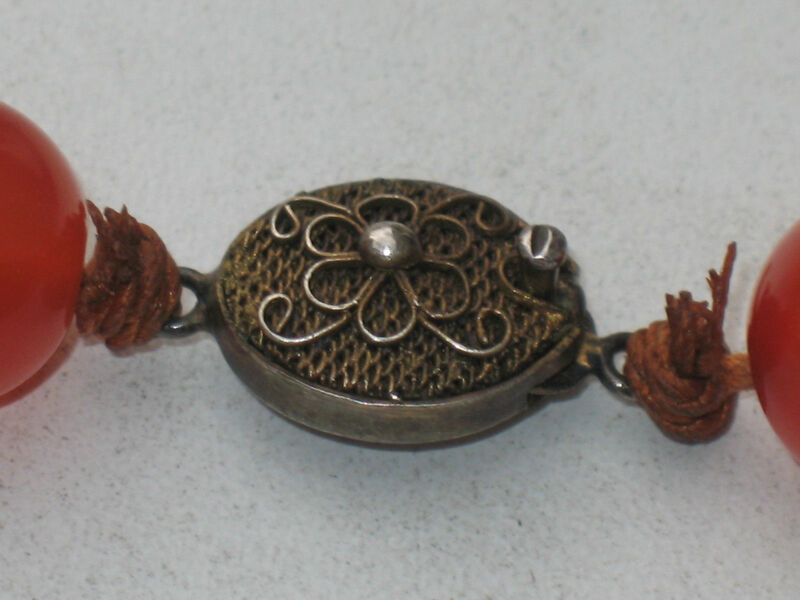 The two clasps on the left are stamped "Silver," the clasp on the turquoise beads is blank. 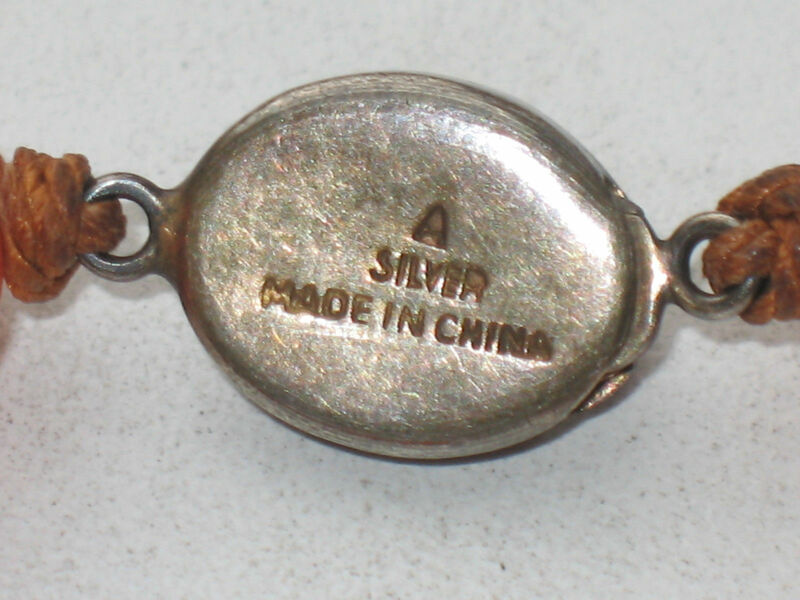 In the meantime, it seems relevant to note that there was an embargo against the importation of Chinese goods into the United States from 1950 until June 1971 – twenty one years. 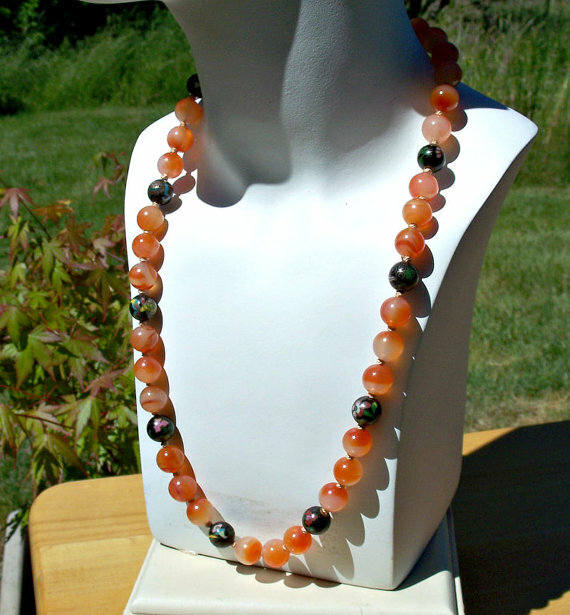 Readers might consider the implications of this regarding for whom these necklaces were made, and where they were available for purchase. 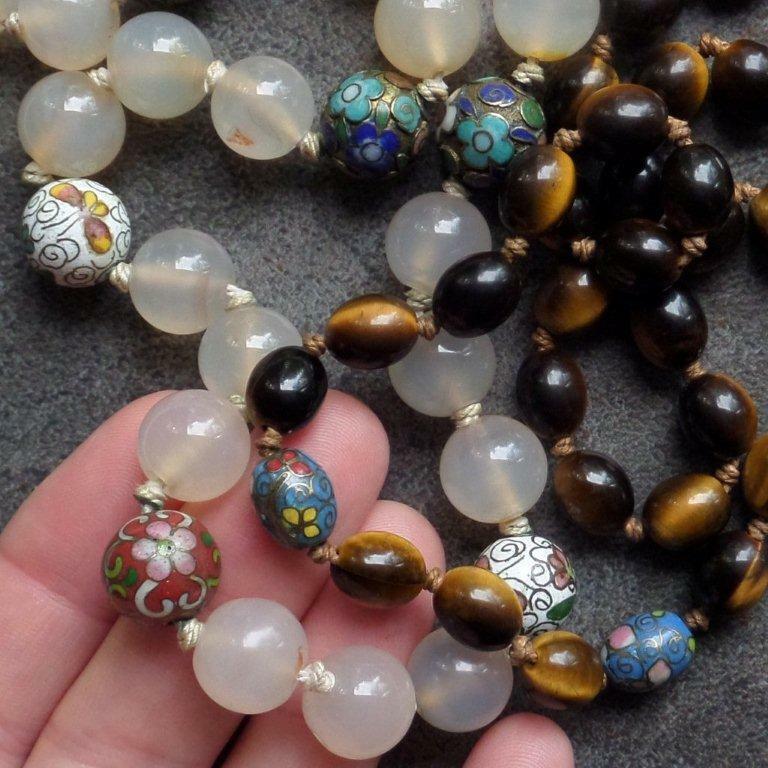 UPDATE: eBay vendor walterwaffelohr2407 provided a most interesting provenance for a beautiful Chinese and carnelian cloisonne necklace that he recently sold for a client. 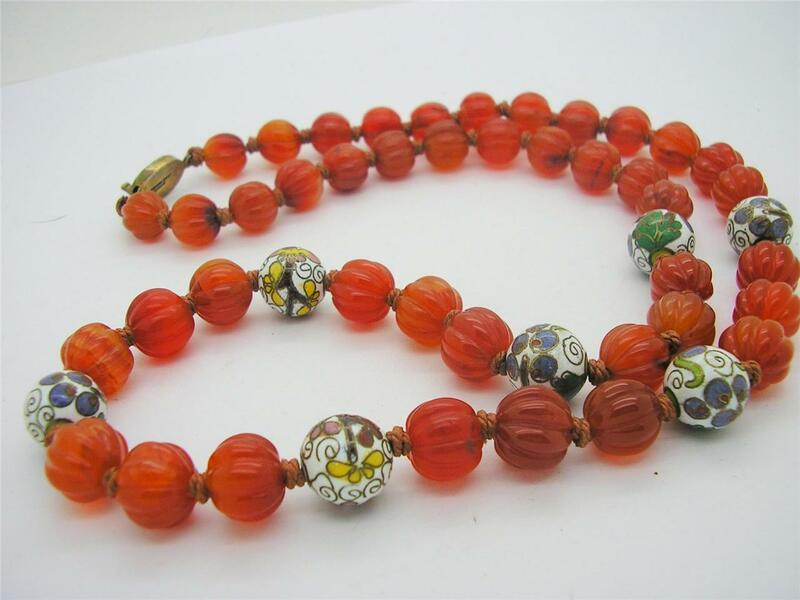 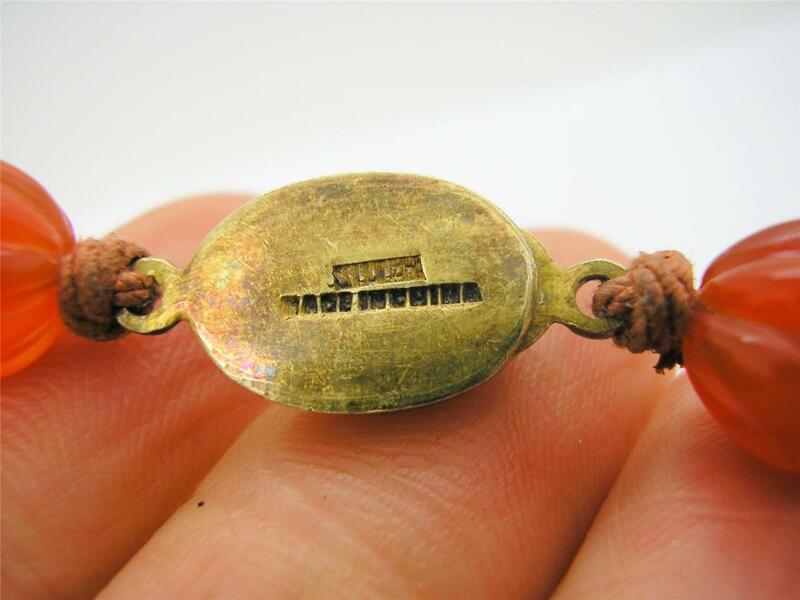 His client's mother received the necklace from her husband, who purchased it while he was working for the German government in China in the 1930s. 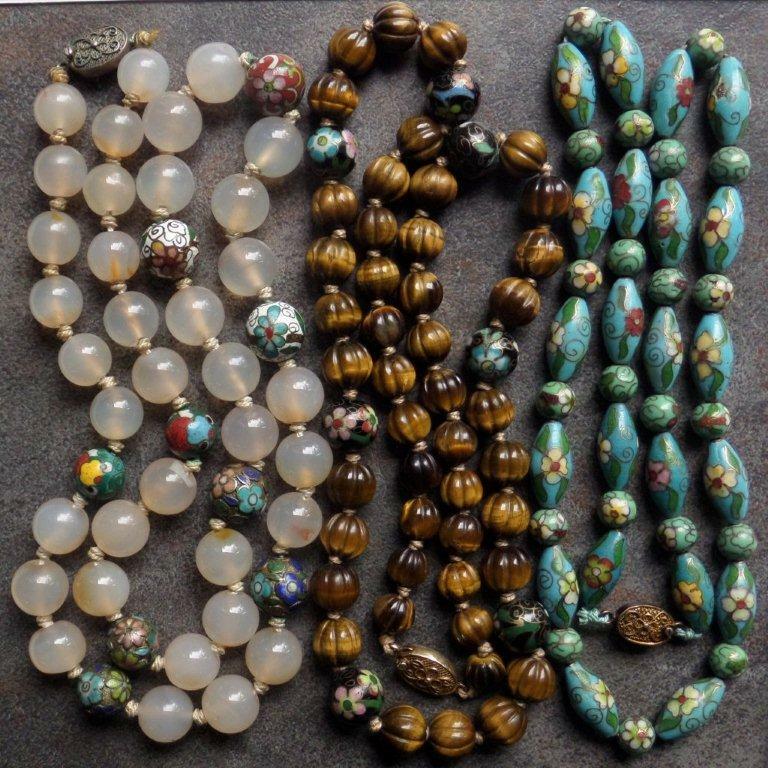 The similarity to other necklaces pictured above is unmistakable, right down to the type of silk cord and knotting. 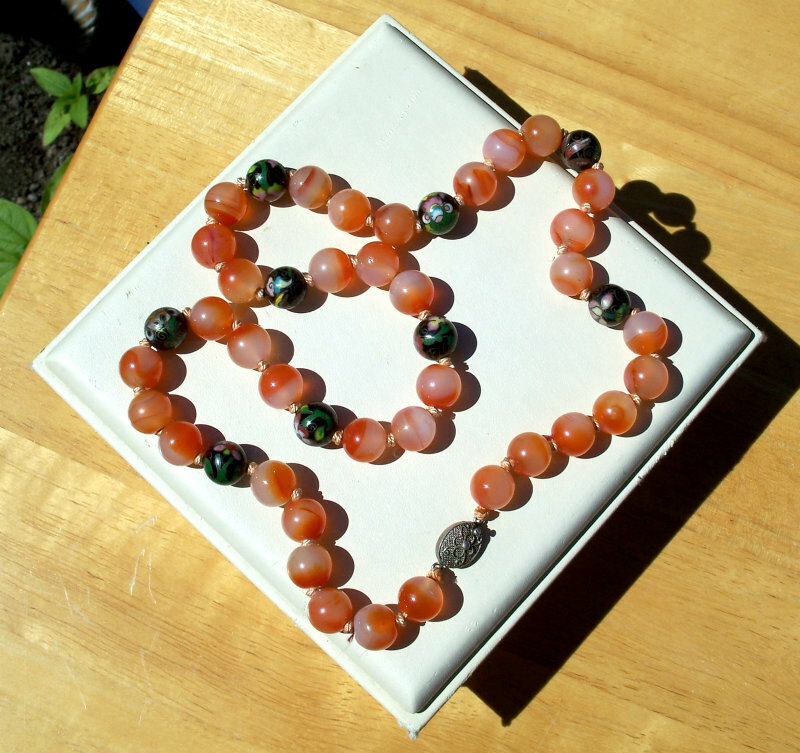 Note the twin peaches and blossom design on the bead at the left; also the older style "peaked" clouds.